The pantry is often the hub of the home. As a fellow human being, I bet you eat all throughout the day – at least three times anyway. Knowing where to find the yummy stuff is important, and the meal-making supplies, of course. When your pantry in unorganized it can make cooking more difficult and tedious. Often I find clients with ingredients that long ago expired, or they didn’t know they had, or they had a lot of the same items just tucked away in different places. It doesn’t have to be that way. Pantry closet organization is about setting up zones. Established areas where you always put the cereal, you always put the rice, etc. That way you are training yourself and your family to look in those areas. for a particular item. Pantry organization makes it much easier to take a quick inventory of what you have when trying to prepare a meal, or when it’s time to go shopping. and when it comes time to unload the groceries, those items get put in their zone only! How do we organize your pantry closet? Well besides sorting, purging and setting up zones, we listen to the needs and habits of our clients. 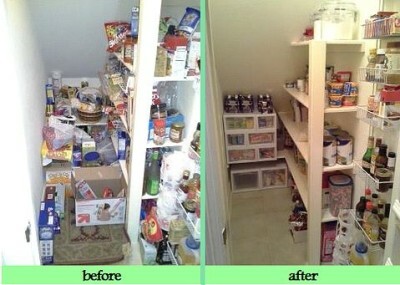 We want the new pantry closet organization to work with you and your family. We know that although we humans have shared characteristics, we are also unique creatures of habit. 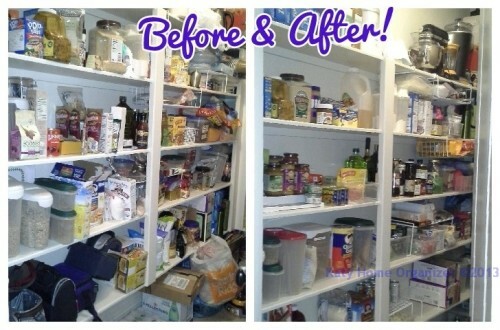 We want to be sure that how we organized your pantry works with those habits! 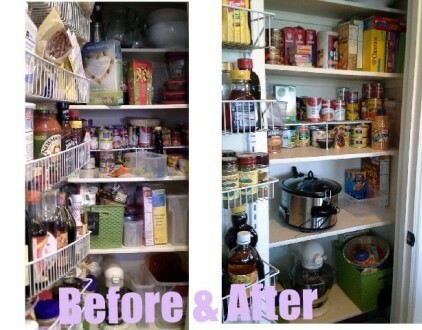 Check out these pantry successes and imagine that they are yours. Click each image to the before and after pictures in larger format. A small pantry with a big job. 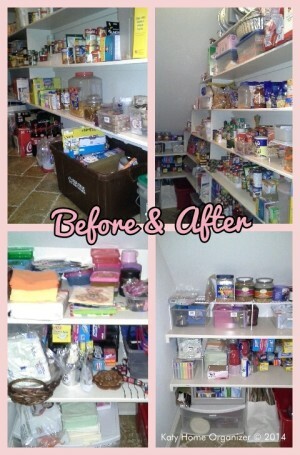 Purging and sorting help a deep narrow pantry. Contact us about your pantry!